Earlier this month, New York became the first US state to offer all but its wealthiest residents free tuition at public four-year institutions in the state. This new ‘Excelsior Scholarship’ doesn’t make college completely free, nor is it without significant restrictions. Still, it demonstrates the growing strength of the free college movement in the United States. The free college movement in the US is typically associated with liberal and progressive politics, and motivated by concerns about rising inequality and declining investments in public goods like education. Americans are thus sometimes surprised to hear the story of the end of free college in England was built upon very similar motivations. Until 1998, full-time students in England could attend public universities completely free of charge. Two decades later, most public universities in England now charge £9,250 – equivalent to about $11,380, or 18% more than the average sticker price of a U.S. public four-year institution. Has this major restructuring of higher education finance over the last twenty years led the English system backwards or forwards in terms of improving quality, quantity, and equity in higher education? We find that at a minimum, ending free college in England has not stood in the way of rising enrollments, and institutional resources per student (one measure of quality) have increased substantially since 1998. Moreover, after many years of widening inequality, socioeconomic gaps in college attainment appear to have stabilized or slightly declined. Prior to 1998, college in England was completely tuition-free for full-time domestic students. Low-income students could apply for grants, and all students could obtain small government loans to be repaid mortgage-style after graduation. As demand for college-educated workers increased during the late 1980s and 1990s, however, college enrollments rose dramatically and the free system began to strain at the seams. This led to the Government imposing caps on the number of students who could enroll. Despite these controls, by 1998, funding had fallen to about half the level of per-student investment of the 1970s. Of equal concern was the enrolment gap between high and low income students, as high as 37 percentage points for those turning 22 in 1998. It was against this backdrop that the first tuition fees were introduced in 1998, accompanied by a new income-contingent loan (ICL) system that enabled all students to access significantly more funds while enrolled, to be paid back as a fraction of income only after graduates begun working. These reforms fundamentally changed the structure of English higher education finance, and enabled numerous subsequent increases in tuition fees, to £3,000 in 2006 and £9,000 in 2012 – though beginning in 2006, these fees were not charged “up-front” but were automatically covered for all students via an income-contingent loan. The progressive arguments for the reforms were threefold. First, public funding would bring in more money for cash-strapped universities, enabling them to take more students, including the disadvantaged. Second, requiring students to pay would make the system fairer since the main beneficiaries of free college were students from middle- and upper-class families. Finally, increasing resources would enable government to target assistance to the neediest, who were struggling with living expenses at college. Perhaps the most obvious impact of the reforms has been a clear reversal of the trends in per-student institutional resources. Figure 1 shows that funding per full-time equivalent student has increased by nearly 50 percent since reaching a historical low pre-1998. Sources: Carpentier (2004) and authors’ calculations. But was this at the expense of declining enrollments and inequality? No. In fact enrollment rates have nearly doubled among traditionally-aged students since the 1998 overhaul. And though the gap between income groups remains large, most recent evidence is that it has at least stabilized and may even have shrunk in recent years, with enrollments of students from low-SES backgrounds growing at a faster rate than those from high SES-backgrounds (Blanden & Machin, 2013; UCAS, 2015). Thus, although it is difficult to know what would have happened in the absence of reform, it does seem as though the new English system lived up to its progressive goals. So what implications does the English experience hold for the U.S. debate about free college? First, policymakers should shift away from focusing solely on net prices, to also thinking about net liquidity: the costs students face and the resources they have access to up-front. While college is no longer free in England, it remains free at the point of entry: the full amount can be financed via government loans, deferred until after graduation. And even though tuition has risen, students have access to significantly more resources than previously, as shown in Figure 2. Second, England’s income-contingent loan (ICL) repayment system makes it possible for students to safely borrow for fees and living expenses. Monthly repayments are calculated as a fraction of income earned above a minimum level and collected via the payroll tax system, so payments are manageable, administrative burdens are low, and default risk is minimized. In the U.S., student loan limits are too low to cover even tuition at the typical public four-year institution, let alone the non-tuition costs of attendance. And many students default on debts well below the maximum levels. 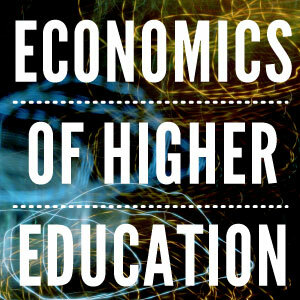 Finally, the English experience leading up to the 1998 reforms starkly illustrates the characteristic risks of a free university system: that insufficient public funding will lead to declining quality, caps on quantity, or both; and that prioritizing free tuition for all means less money to help the neediest students with additional costs. These may well be the real consequences of the New York plan: for example, no additional funds are promised to institutions, raising the likelihood that per-student resources will fall as enrollments increase. No model is without its challenges. But the English experience suggests that making college completely free is hardly the only path to increasing quantity, quality, and equity in higher education. Indeed, a free system can sometimes work against these goals.